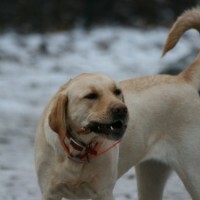 "We had tried several boarders over the years and our two retrievers hated them. My husband and I weren’t sure if they just didn’t like being away from us or if the places themselves were not comfortable for our pets. Thankfully, some colleagues recommended Stephanie at Critter Sitters and we have been loyal customers ever since. She has an easy-going attitude, is unflappable in terms of schedules and animal temperament and is amazingly adept at reading pets’ personalities. Our dogs have been in her care many times since then for anywhere from an overnight to almost two weeks. And every time, they are delighted to see her. She knows just what to do and say to calm them when they’re anxious, make sure they get their beloved play time and have plenty of exercise. The difference is remarkable. We return and they are happy to see us, but not neurotic, as they have been at other places. That’s a testament to Stephanie! 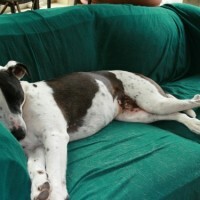 Her prices are reasonable, the dogs are comfortable and we can relax, knowing that their care is in capable hands. We would recommend Stephanie and Critter Sitters to anyone ~ but not TOO many people! We don’t want her to get so busy it’s hard to schedule Abby and Tucker!" "Trust a pet lover to be the best at pet sitting. No worries with Stephanie in charge of your four-footed darlings while you’re away. I always relax when I know she’s seeing to my menagerie." 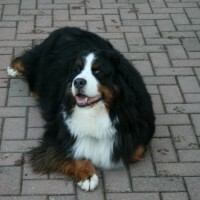 "I continue to feel fortunate having found a high quality pet sitting service. With Stephanie at the helm there are never any coverage worries while working long days, and in-home boarding services is certainly an additional plus. Dependable; flexible; a wide range of service offerings!" "Here goes: We are very fortunate to have Stephanie in our lives. 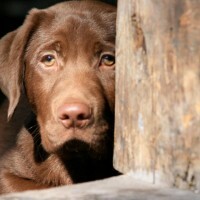 We can leave our dog in her care and have complete confidence that our dog will be safe, happy, and cared for very well. In addition, knowing that a mature, responsible, trustworthy person like Stephanie will be keeping watch over our house while we are away sets us free from anxiety about what might happen to our property. Stephanie is always easy to reach by e-mail or phone; she always replies promptly to our requests for pet-sitting, and is very thorough and explicit in her communications with us." 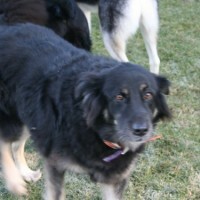 "Stephanie has been taking care of our dogs for the past 4 years. We feel so lucky to have a reliable, professional and fun person to rely on when our rambunctious puppy needs some extra attention! Not only does she treat the dogs like her own, but she even helped potty train our puppy! We highly recommend using the Critter Sitter for both home visits and boarding." "Stephanie has been caring for my dogs ever since she started her business. I cannot say enough about Stephanie and Critter Sitters. I knew Stephanie before she opened this business and know she found her niche and calling with Critter Sitters. She has an innate aptitude to read dog behavior and understand their individual needs based on temperament, and a secret heart of gold. We have been with her through three dogs now. Sighting of the Critter mobile inspires manic wiggling, tail wagging and happy faces in all my dogs. Being cared for by Critter Sitters is not a kennel experience, it’s doggy camp. Stephanie’s services are structured but include flexibility that accommodates different temperaments and needs. First there was Safi. Safi was a true alpha and sensitive. We had been fortunate enough to either be able to take Safi with us on trips or find friends to pet sit. One day our luck ran out and our solitary kennel experience left her stressed and nervous. Then Stephanie opened her doors and we never looked back. Safi never returned nervous from a stay with the Critter Sitter. Never. When Safi had to be euthanized because cancer was winning, Stephanie sat with me and handled all the details I was too grief stricken to handle. And checked in on me frequently as I worked through my grief. 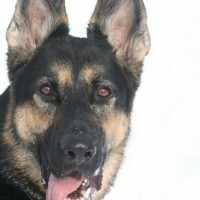 Next was Sammy, a separation anxiety package of energetic, cagey german shepherd who came into our lives 10 years ago. He broke out of three separate crates!! Stephanie took him on and took him in, knowing how to batten down the hatches to accommodate his wiley ways and has never turned him away despite counter surfing and pantry raids. Sammy can’t walk as far as he used to because his hips and spine are bad, although is spirit is the same. On a recent visit to Critter Sitters, Stephanie hoisted him on her shoulders and carried him up a hill he could not negotiate. Finally, our third dog: Donato. After Safi’s death, we took him in. 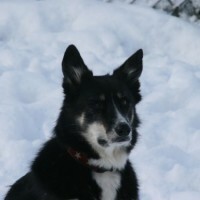 He is a border collie mix with some “issues”: paranoid around strangers, sensitive and skittish. I thought this would be the dog that Stephanie would be unable to care for. How wrong I was! Stephanie is one of the chosen few who inspire so much wiggling and tail wagging when he sees her that it looks like he is going to wiggle right out of his skin. After his first visit with her she declared him a quirky but funny sweetheart. She understood him and handled him exactly how he needed to be handled. His behavior when he spies the Critter mobile or Stephanie is the best testimonial to her skills. Dogs don’t lie about who they love and who understands them. I would trust her with their lives and would never consider having anyone else take care of my animals. When my dogs are with Stephanie, I feel completely relaxed and confident that they are having the time of their lives and are well cared for. " "Critter Sitter is nothing short of a perfect environment for my 2 year old yellow lab who has been a regular member of “the pack” for over a year. Acres of hilly shaded fenced in land allows Stephanie and her staff to let the dogs play and excercise freely under their supervision. 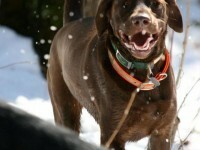 In bad weather, there is a pole barn that was built specifically for the dogs to have a spacious area to romp and play. If its really hot, a dip in the pool is nothing short of doggie heaven for my lab. When I have to board my dog, I can leave her with Stephanie without feeling guilty, knowing that she is well cared for and probably having more fun than if she were at home. My only regret is that I do not live close enough to benefit from the pick up and drop off service that Critter Sitter provides with their two vehicles wrapped with photos of the dogs…”the Dog Bus.” How fun is that? While Stephanie’s facility is an amazing environment for the dogs, her professionalism is paramount. Her commitment to taking the best care of your dog is her priority. " "Critter Sitters is a high end dog day care business complete with pick up and delivery service, daily nature walks, outdoor play time, and swimming in a saline pool. Stephanie, the owner, is passionate about her business and, as a result, the dogs never had it so good. My dog goes there at least three times a week to work off his energy and spend quality time with other dogs. We love the service!" 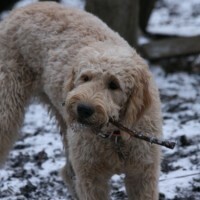 "When one of the “Critter Cars” pulls into my driveway, my dog goes nuts trying to get outside and into the car! And for good reason, because Stephanie has created dog heaven! The dogs get to play and run and swim in a beautiful setting, and they go home tired and happy. Stephanie and the great folks who work with her love and care for the dogs so much, and it shows in the incredible setting and play opportunities they work to create for the dogs. You and your dog have to experience to believe it!" "I debated driving two beagles from Oregon to New York so I could work in the area for 3 weeks. I combed the area looking for the right place, read testimonials, newspaper articles, checked and rechecked. Before I arrived, I knew Stephanie was the only person in the area that I would allow to watch my dogs. It was a huge leap of faith for me because one of my dogs is a rescue and I couldn’t afford a set-back with a dog that has taken five years to get where he is today. I feel like someone in heaven was watching out for us, because Stephanie and her team were a godsend. The grounds are beautiful, the dogs were carefully cared for and I couldn’t be more grateful to everyone at Critter Sitters. Thank you from the bottom of my heart"